Over the last one year, we have seen a fast-paced growth in smartphone displays. 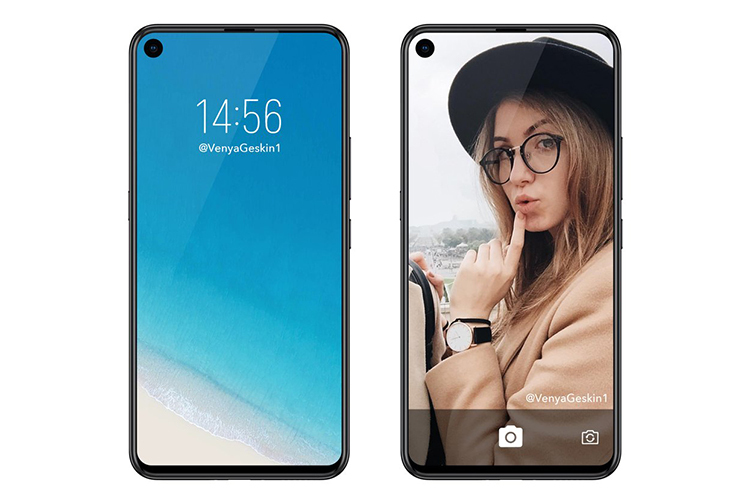 The classic 16:9 aspect ratio was replaced by taller 18:9 panels, which in turn have given way to a slew of notched up smartphones that are infuriating purists. Now, a Chinese display maker has revealed a more futuristic design that could take OEMs by the storm and inspire them to use more of the front for the display. Doogee’s global marketing manager, Allen He, shared an image of a new screen concept showcased by China’s biggest display company BOE at the SID Display Week 2018 in Los Angeles. The concept shows a circular cut-out for the selfie camera within the display area. The concept certainly looks out of the world and unlike anything that has been attempted before. The screen is taller than the current immersive displays and reminds us of the iPhone X‘s “inspiring” design. Based on this, tipster Ben Geskin designed a digital concept of smartphones using inspiration from this display. There is no guarantee that smartphones will use such displays any time in near future but the idea is certainly fascinating. 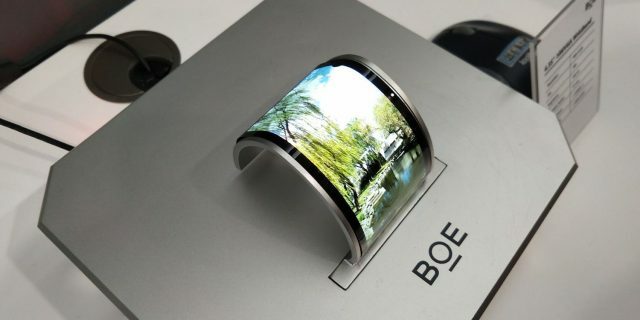 Along with this concept, BOE also boasted a range of flexible AMOLED displays which can have a variety of applications ranging from billboards, displays on robots, displays for car dashboards, or smart speakers and other solutions like Google’s smart displays. These displays have a bending radius of merely 1 mm and can be bent over 100,000 times, BOE says. The company also showcased an OLED display designed specifically for AR applications. The tiny 0.39-inch display has a surprisingly high pixel density of 5,644PPI which is more than 12 times as much as the pixel density of the iPhone X’s Super Retina display. This super-rich display has such a high resolution to enable a seamless transition between digital images and real-life scenes. Notably, BOE has been trying to woo Apple since last year to provide OLED displays for the iPhone X. It even sent a multi-billion dollar proposal to Apple for the displays and shared its plans of preparing its assembly lines for the iPhone-maker. While there is no confirmation about BOE’s involvement in this year’s iPhones, the idea of seeing iPhones with the aforementioned displays is gripping. On recalling Apple’s display interests, we can also remember a bunch of patents granted to the company at the end of the last year. Two of the 44 patents pointed at Apple’s desire to use a “see-through window” within the screen for AR applications as well as speakers embedded under the display of devices. Without any intention to connect imaginary dots, the image of BOE’s offerings improving iPhones and iPads is really exciting. Who knows if we could see a subtle inclusion on any other device just like the touch bar on the MacBook Pro. So, we’re keeping our fingers crossed on this one!